Training Camp Question #1: Will The Bills Get A Pass Rush? For the next 10 days, leading up to the start of Bills Training Camp, Buffalo Sports Page will ask and answer the ten biggest questions facing the team in 2018. Last year the Buffalo Bills were one of the worst teams in the league when it came to sacking the quarterback. The Bills could only muster a total of 27 sacks on the year. This put the Bills tied for 29th in the league when it comes to sacking the QB. This is a problem because Sean McDermott’s defense is not a blitz heavy defense. McDermott would prefer to confuse the quarterback with different coverages. The Bills defense is hoping to confuse the QB and then be able to get pressure and make a mistake. The Bills did have 18 interceptions in 2017. Only four teams had more picks. So the confusion was there. The problem was that against good QB’s like Tom Brady, he might initially be confused but without the pass rush he would burn the Bills defense with his patience. So why will the Bills have a better pass rush this year? For one the Bills signed Trent Murphy in free agency. Murphy missed the entire 2017 season with a torn ACL. In 2016 he had a career year with 9 sacks for the Washington Redskins. He was consistent as well he had a sack in six consecutive games for Washington. This consistent pressure would be just what the Bills need. 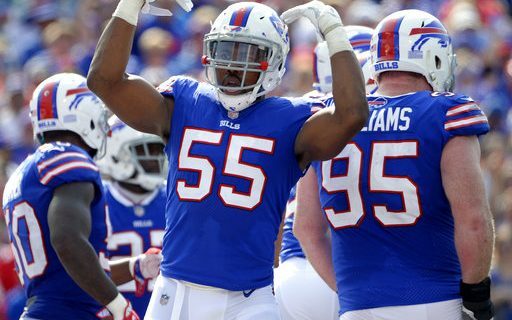 Jerry Hughes needs to regain his skills, and get back to double-digit sacks that he had in 2013 and 2014. Hughes was better when he had a Mario Williams on the other side to threaten the QB. The addition of Murphy should help Hughes as well. Ten sacks maybe a lot to ask but raising his number above four from last year should be a given. Shaq Lawson is the huge question. We have all read the reports that Shaq Lawson is a changed man. He has lost weight and become faster off the edge. I think every Bills fan has the same reaction. We will believe it when we see it. This training camp could go either way with Shaq, I could believe he is improved or I could believe he’s cut by the end of camp. 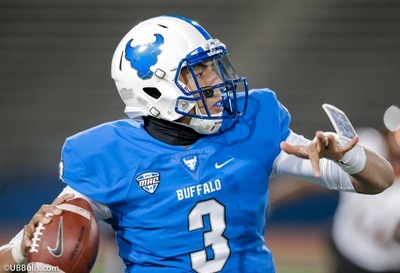 If the Bills are going to move on from Lawson it would mean a guy like Eddie Yarbrough continues to improve. Yarbrough had only one sack last year but showed real promise at times. If he continues to improve it might allow the decision on Lawson to be an easy one. One other thing to look from camp is expecting the Bills to try to get faster on the inside from the pass rush. Former Giant Owa Odighizuwa was used on the inside during OTA’s. Think of how Seattle when dominant in recent years would have their NASCAR pass rush. They would put a few under-sized guys in the middle on pass rushing situations. But they would have four good pass rushers on the field. I’m not comparing the Bills pass rush to Seattle’s believe me, but I think they maybe trying to do the same thing to help improve from last year. If the Bills could get a pass rush this defense could be something special. I feel the Bills need to bring their sack total up to the 40 range. There were only three teams in the NFL last year that had 50 or more sacks. To ask the Bills to double their sacks would be unrealistic. To ask the Bills to go from 27 sacks to 40 and get consistent pressure on the quarterback is more realistic.